Barcelona star Lionel Messi is a major doubt for the first of Barcelona’s three clashes with Real Madrid inside four weeks. Despite the Argentina international missing training through a thigh injury on Monday, Barcelona insisted: “There’s no concern about Messi”. 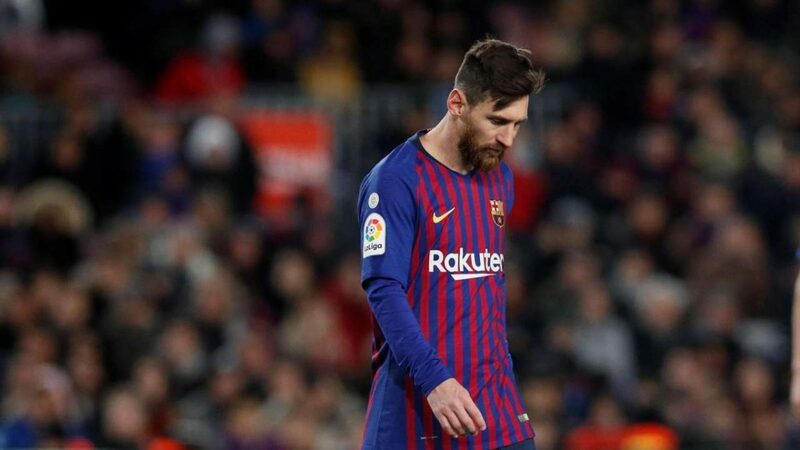 Boss Ernesto Valverde said after the draw with Valencia: “[Messi] has a small problem. “We will have to wait to see what medical staff say. If he’s in good shape, he’ll play on Wednesday. We will wait. Leo didn’t ask me to sub him off. Messi was absent last October when Barcelona destroyed Real 5-1. However, he has never scored against Real in SIX clashes in the Copa del Ray. The 31-year-old’s record of 18 goals in 24 La Liga matches includes a goal in each of the last three games. Messi also has two goals in two Champions League matches, plus six from six Supercopa clashes. Arsenal summer transfer budget revealed: How many players can sign Emery?